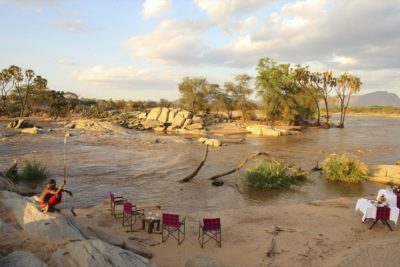 Ashnil Samburu Camp Ashnil Samburu Camp sits in Buffalo Springs Game Reserve which takes its name from an oasis of crystal clear water at the western end of the reserve. Samburu is one of the historical destinations that anyone could visit and enjoy the various sceneries it carries. This is a vast land that stretches to the southeastern side of Lake Turkana and has had people occupying it for the last 400 years. The inhabitants are traditional nomads, who are related to the Maasai community in Kenya. There is so much that this peculiar destination has to offer to the visitors. 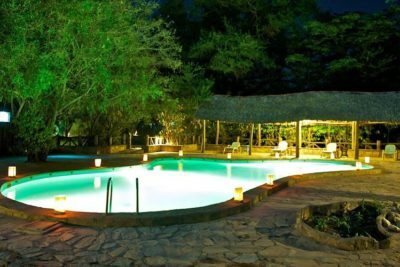 The Holiday Dealers is happy to organize a safari that will be fun-filled and suit your budget in the best way possible. If you are new to this land, do not worry, we will make your safari quite adventurous and you will not even notice that we are there as we allow you to be as liberal as you would please. There are so many different places that you can visit in Samburu and tons of activities that you can enjoy. The Samburu National Reserve is a game reserve situated on the banks of the Kenyan Ewaso Ng’iro River. 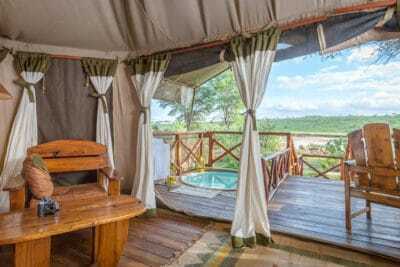 At an impressive size of 64 square miles, the reserve is known for being named after the Samburu people of Kenya as well as holding a robust number of rare wildlife and having an extremely vibrant ecosystem. The reserve is especially famous for being the setting of Elsa the lioness, made famous in the award-winning movie Born Free. It is also known for containing such wildlife rarities as the long-necked gerenuk, reticulated giraffe, and beisa oryx. This is rated as one of the best national parks in Kenya. The national reserve is found in the northern part of Mt. Kenya. When you are getting to the park, you will enjoy the drive from the foothills of Mt. Kenya. You will be treated to the unusual scenery of a green forest on one side and the desert landscape on the other side. There is a wide variety of animals that you will enjoy viewing in this park, including the big cats, zebras, gazelles, gerenuk, giraffes, guinea fowls and so many more. One of the other eye-catching sights to behold is the red-robbed Samburu tribesmen who bring the cattle down the river to drink water. These are pastoralists and their livelihood revolves around livestock. The animals are guarded by young men who are known as morans. Samburu National Reserve boasts world-class hotels in its proximity to make sure guests are not found wanting for views of the soothing acacia trees, predators at ease and birds in flight. There are a handful of truly luxurious hotels that offer immersive first-class comfort at competitive prices. We have a wide variety of deals that will suit different budgets. You could also allow us to come up with a tailor-made holiday deal that will suit your needs in the best way possible. Most of the Samburu National Reserve hotels offer different room types, to make them suitable to whatever budget you may have. 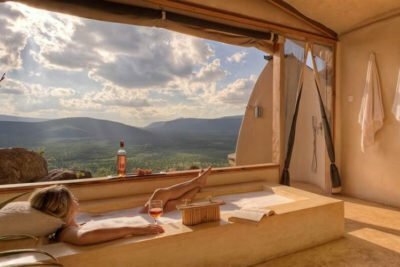 Regardless of the fact that you will be far from civilization, most of the Samburu National Reserve hotel rooms come with hot water showers, deluxe beds, all day electricity and in some cases wifi. When on a flying package, most of the Samburu National Reserve hotels will offer airport transfers and game drives at a fee. The Samburu National Reserve hotels offer an immersive experience that brings you as close to the animals in the reserves as possible. 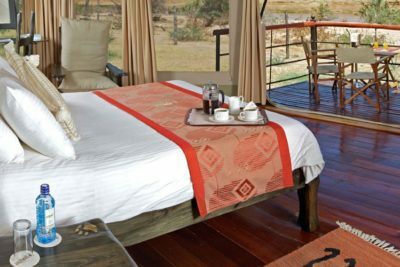 Wake up to find elephants and rhinos walking a stone’s throw from where you sleep and find exotic birds cozied up close to your windows at dawn. Access to Samburu National Reserve hotels is easy and direct. A good number clients visit Samburu Samburu National Reserve on self-drive. All hotels offer free parking, a pool, and bar area as well as top-notch restaurants with sumptuous local dishes. There is also a gift shop on site to purchase anything from local art to little trinkets. • Sightings are quite a common attraction during the late hours of the day. Kamunyak, the ‘miracle’ lioness that adopted a baby oryx, is currently residing in the reserve. • Leopards are often seen roaming the expansive savannah, patiently watching their prey from tree branches due to their exceptional eyesight. • The cheetah is ever-present and its remarkable speed is truly something special to behold in person. • Native to northern Kenya, these giraffes stand tall and majestic as they navigate the savannah, making for a very interesting sight to see. The reserve is a vibrant community of many animals, from kudu to warthogs, impala, waterbuck, gazelles and more. There are even sightings of wild dogs, which though not as common, can be spotted occasionally as they hunt in packs. There are also five species of vulnerable birds located in the reserve. These are the great egret, African darter, white-headed vulture, yellow-billed ox-pecker and the martial eagle.